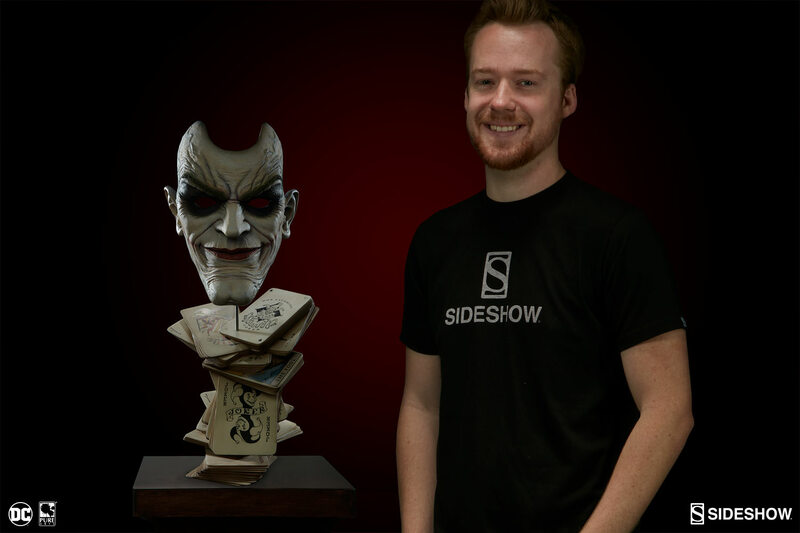 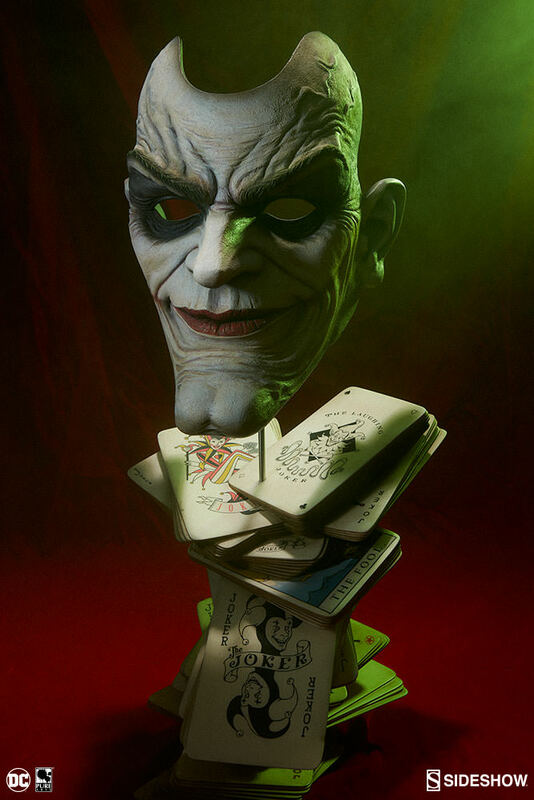 Sideshow Collectibles has released photos and details for their upcoming The Joker: Face of Insanity Life-Size Bust. 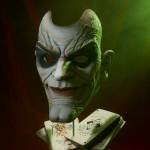 The bust is being produced in collaboration with Pure Arts. 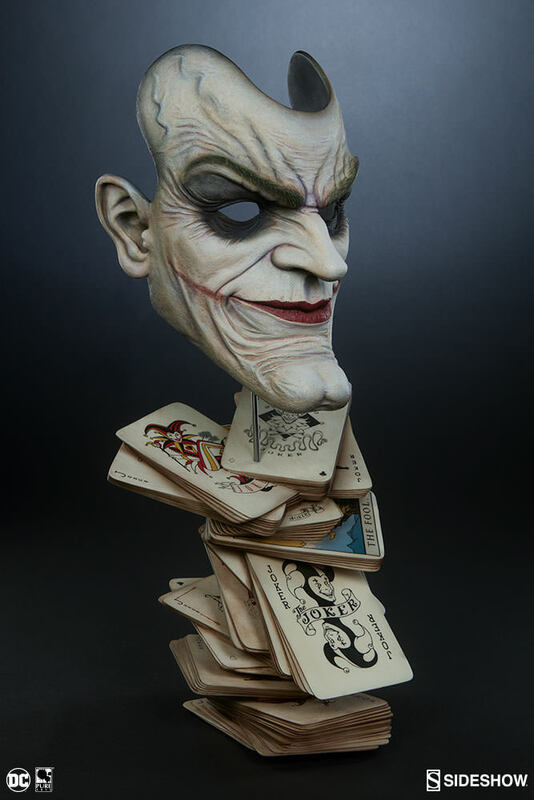 It features a mask like Joker face atop a stylized base of playing cards. 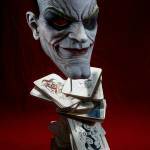 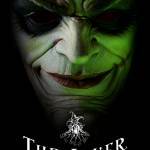 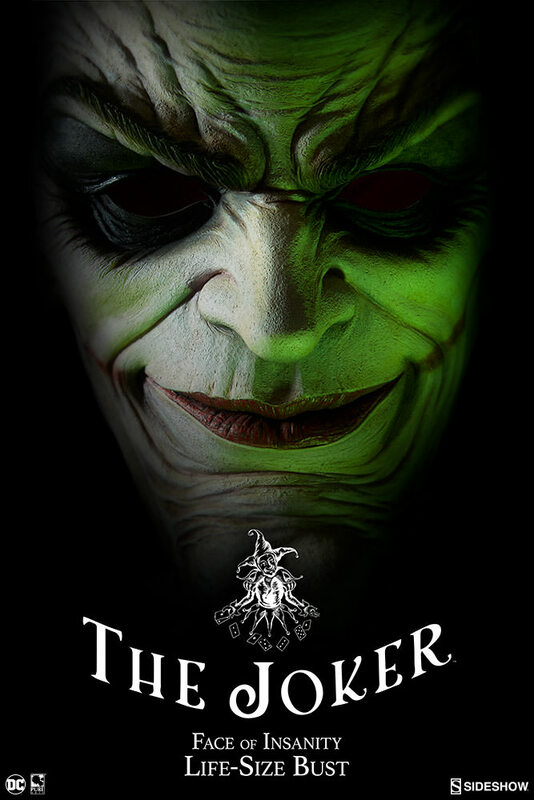 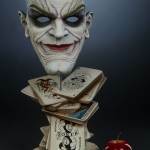 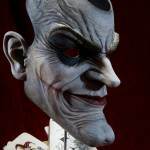 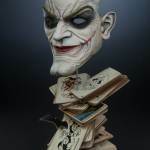 Pre-Orders for The Joker: Face of Insanity Life Size Bust open today, sometime between Noon and 3:00 PM Pacific Time. 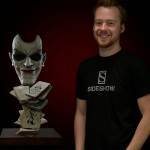 It will be priced at $349.99. 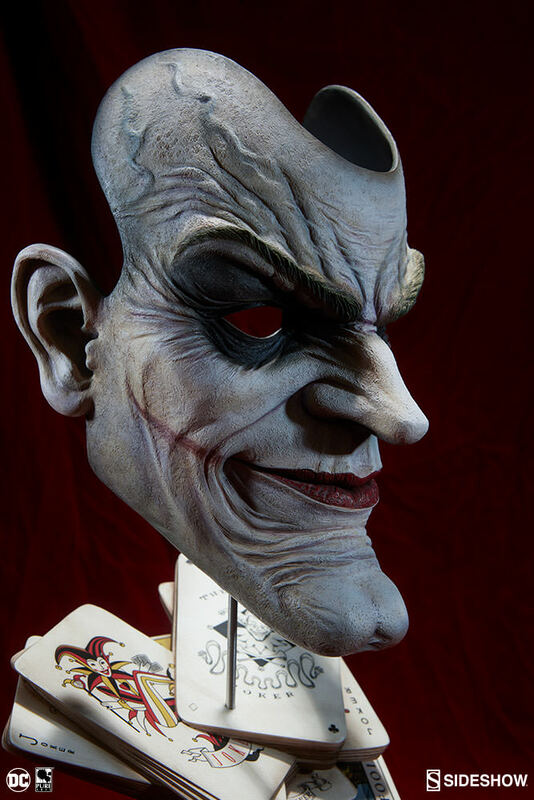 See more details below and read on for all of the new photos. 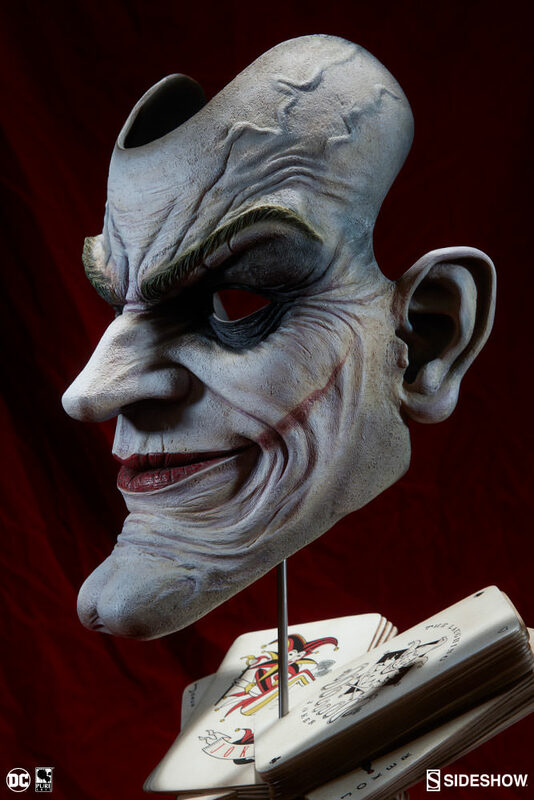 This life-size bust is meticulously sculpted to capture every detail of the Joker’s madness, from the furrow of this focused brow to creases formed by his signature smile. 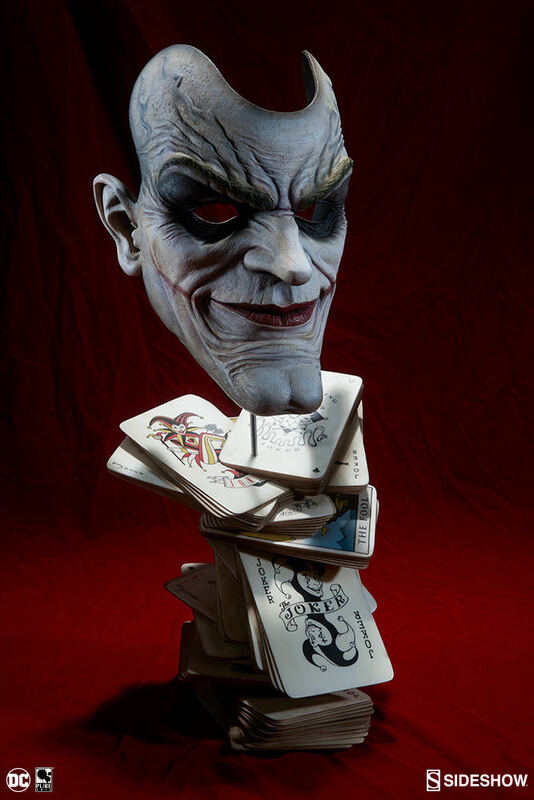 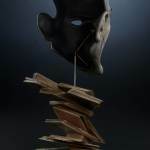 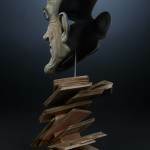 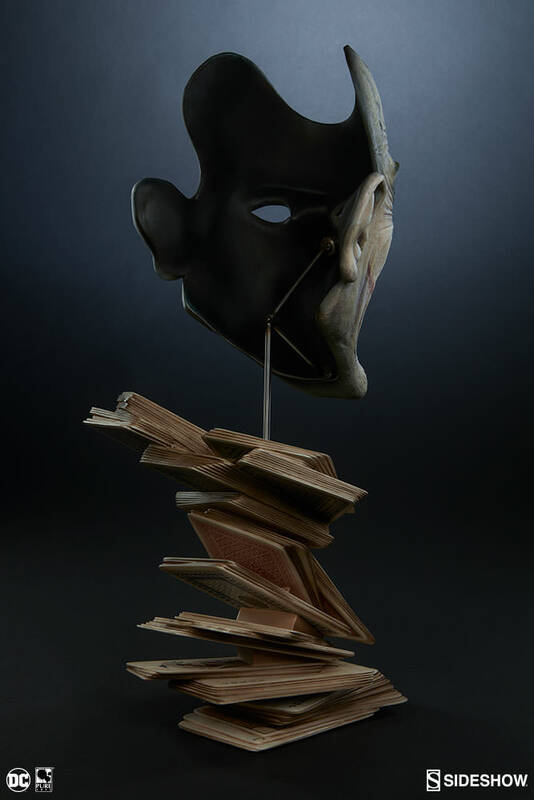 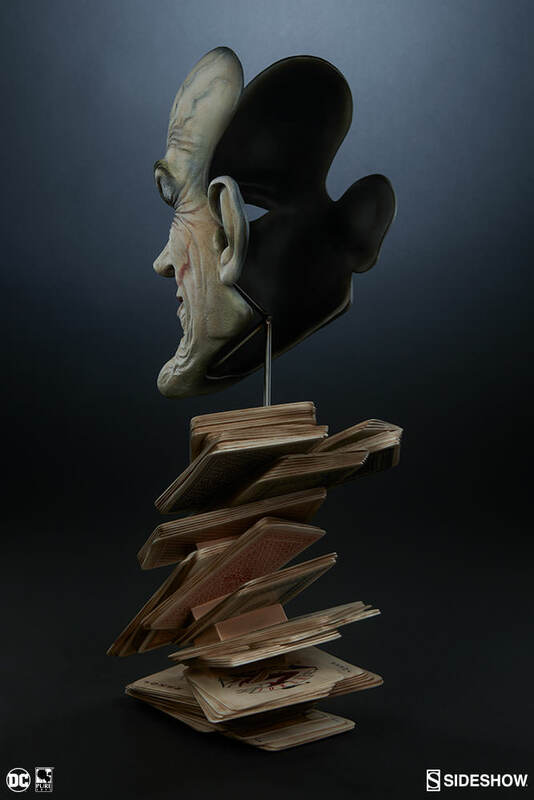 The piece is made in resin with a metal mask stand, holding the frightening face aloft. 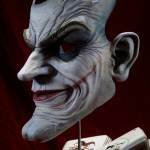 Lifelike paint application shows off the Joker’s comedic range (or derange) with his iconic white face paint, shadowed eyelids, and ghoulish red grin from ear to ear. 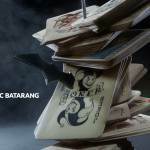 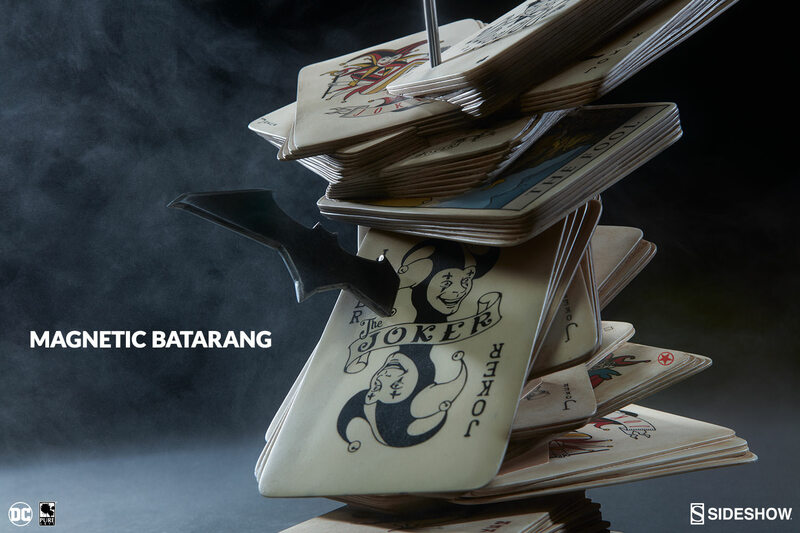 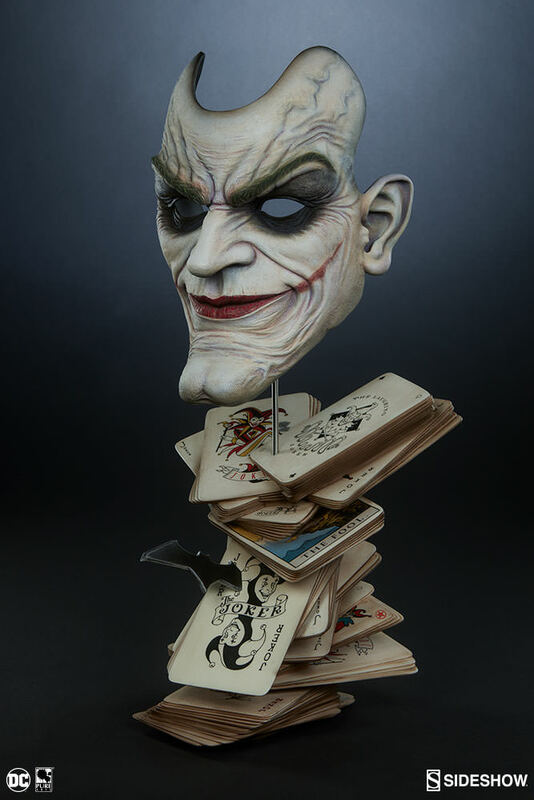 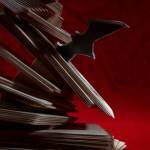 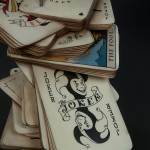 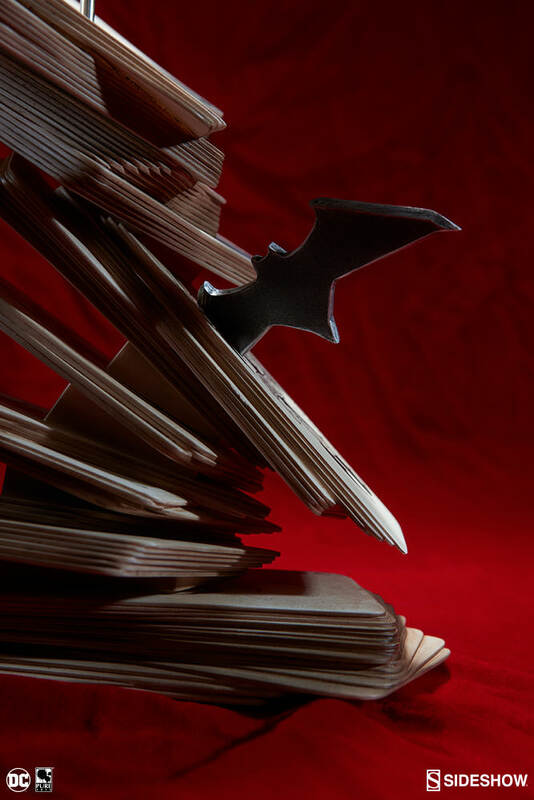 Beneath the Joker’s grim visage, the base is composed of a cascade of cards all featuring the face of a fool. 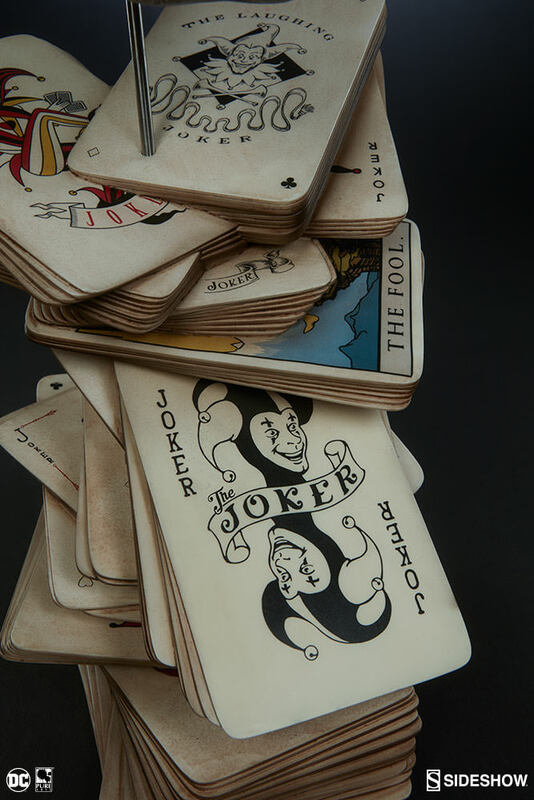 The Clown Prince of Crime is playing with a full deck, and this time it’s Joker’s wild. 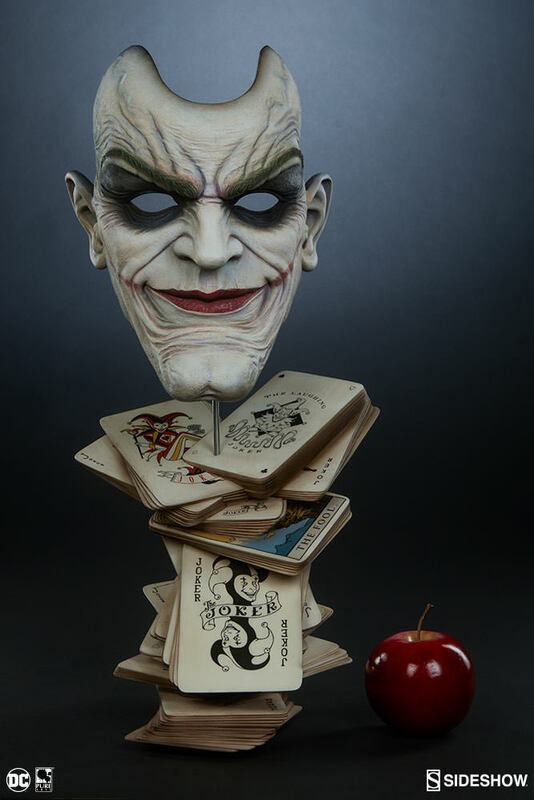 This life-size replica stands at 21.25″ from the top of the face to the bottom of the base. 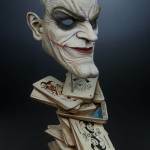 The Joker: Face of Insanity comes also with a magnetically attached Bat Shuriken for the base, because Batsy came to cut the deck!